As the American workplace evolves, more and more companies are thinking of ways to increase productivity without reducing the caliber and engagement of their teams. Additionally, there is increased pressure on venture-backed startups to operate leaner until they can generate revenue. As a result, many companies are turning to virtual employees, found through sites like Upwork and similar services, to manage administrative tasks at a more sensible rate. One survey found that 64 percent of employees at international companies participate in virtual teams and that 52 percent of those teams were based outside of the company’s home country. Now that technology is bringing us closer together, it is easier than ever for companies to leverage top talent at reasonable rates from all around the world. A common misperception of virtual workers is also slowly fading as data suggests that the global workforce is becoming more skilled in English and cross-cultural work. A global HR report from SHRM details that 57 percent of English-speaking workers in Asian countries have a moderate to high proficiency in the language. Another survey indicates that 73 percent of employees believe the challenges that may come with virtual teams are overshadowed by the benefits. Perceptions of virtual work are changing, especially as more companies create positions that are completely virtual or remote. Eric Taussig is the founder and CEO of Prialto and an expert in the world of virtual employees. He is convinced that one of the main reasons virtual work is on the rise is because “today’s companies need to be super focused on doing a few things very well.” As such, companies are more readily outsourcing tasks that are not within the main scope of their business. Here are the top three ways virtual workers make executives and organizations more effective. Just like a business has to focus on being excellent at a minimal number of important tasks, executives need to be effective at the tasks that create the most value for their company. 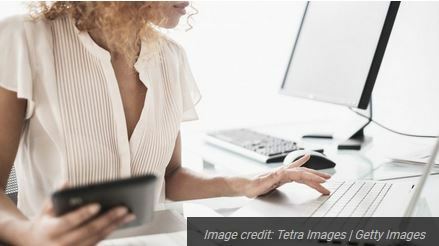 “Managed teams of assistants maximize an executive’s time by optimizing their schedule, making sure they have the right information and developing detail-oriented procedures to prevent missed opportunities or oversights,” said Taussig. So why are virtual workers so effective at reducing administrative roadblocks? One reason is that remote work helps them avoid distractions that often occur in office settings. Additionally, virtual workers are often better versed in social tools that help streamline collaboration. The arrival of sites like Upwork created a marketplace that connects companies with virtual workers all around the globe. The trouble with these marketplaces, however, is they created an entirely new problem. How do you recruit, vet and hire the right talent? And then what does managing that talent look like? These issues can create more work for companies, minimizing the benefits of outsourcing administrative functions. Taussig shares that the issue is not just helping workers find employers but rather, “the issue is creating the common framework and context so that they can work together more effectively once they have found each other. That’s exactly what a managed service does. It creates the context, the use cases, and the processes so that people can be effective working together across physical and cultural distances.” Virtual assistant companies add a crucial layer of curation and management to the freelance economy, benefiting both the companies that hire them and the talent that works for them. Global Data Analytics research found that Fortune 1000 companies from all around the world are changing their office spaces in light of recent trends in mobile work. Since employees aren’t at their desks 50 to 60 percent of the work week, offices are condensing into smaller locations, saving vital costs for other key business functions. Fortune 1000 companies are not the only ones to benefit. A lot of small to midsize companies are considering office expenditures, so reducing the number of on-site employees could help alleviate the need for larger, more expensive office spaces. This is not to say that virtual workers will always be cheap — finding good talent will always cost more — but the other costs they can save, like time and space, often make them a better option than on-site or domestic employees. When considering whether or not integrating virtual workers into your business, make sure to look at your motivations and ensure that they align with the real benefits of outsourcing that talent. Instead of evaluating the decision based solely on the percentage of payroll costs it will save, consider how much of your time, energy and management efforts will be saved and what that would mean for your business.